Mez Construction Ltd - Builder based in Pinner, Middlesex. 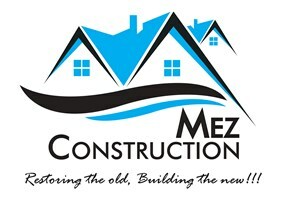 I'd like to take the opportunity to introduce to you our company 'Mez Construction'. We are a private limited company and have been in the construction industry for the last 4 years working across West and South London. We specialise in many different types of services with high quality results for very suitable prices. Our services are as follows: Residential, commercial, extensions, loft conversions, refurbishments and project management.